On March 31, 1988 the Tampa Bay Buccaneers traded QB Steve DeBerg to Kansas City for safety Mark Robinson and two draft choices that were fourth and eighth-round selections in the pending NFL draft. The 34-year-old DeBerg was considered to be intelligent and a hard worker, but also athletically limited. He was drafted out of San Jose State by the Dallas Cowboys in the tenth round in 1977 and was cut, catching on with the San Francisco 49ers for ’78. He became the starting quarterback for a poor team that went 2-14, and DeBerg completed just 45.4 percent of his passes while giving up 22 interceptions as opposed to 8 touchdowns. 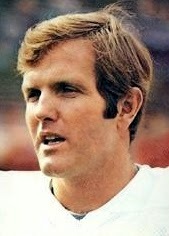 The arrival of Bill Walsh as head coach in 1979 didn’t bring an immediate improvement in record, but DeBerg had a much better season in Walsh’s controlled passing offense, setting then-NFL records for pass attempts (578) and completions (347) while gaining 3652 yards through the air and 17 TD passes against 21 interceptions. DeBerg lost the starting job to the up-and-coming Joe Montana during the 1980 season and was dealt to the Denver Broncos for ’81, with Coach Walsh pronouncing the verdict that he was “just good enough to get you beat”. He backed up Craig Morton for a year, saw most of the action behind center during the strike-shortened 1982 season, and then split time with first draft choice John Elway in ’83. Tampa Bay obtained DeBerg from Denver in 1984 for two draft picks. He had a good first year with the 6-10 Bucs, setting a franchise record by completing 60.5 percent of his passes, for 3554 yards and 19 touchdowns. 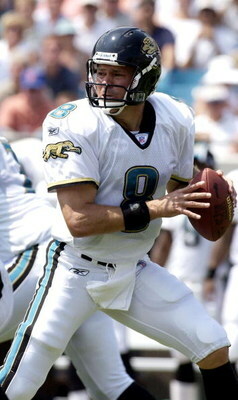 But the return was less in 1985 and Steve Young, a refugee from the USFL, started the last five games. Young was gone by 1987, but another overall top draft choice, Vinny Testaverde, joined the club and took over for the last four games after DeBerg started the first seven in the strike-interrupted campaign. With the team committing to Testaverde, Head Coach Ray Perkins decided that dealing DeBerg for draft choices would be more beneficial to improving the club. Thus far in his career, DeBerg had passed for 19,582 yards and 116 touchdowns while giving up 139 interceptions, although in ’87 he led the NFC with the lowest percentage of interceptions thrown (2.5). He started 33 games for the Bucs, but they won only eight of them. As for the other players involved in the trade, four-year veteran Mark Robinson was drafted in the fourth round out of Penn State in 1984 and had backed up star safeties Deron Cherry and Lloyd Burruss. He came highly recommended by Tampa Bay defensive coordinator Doug Graber, who had previously coached the KC defensive backs. 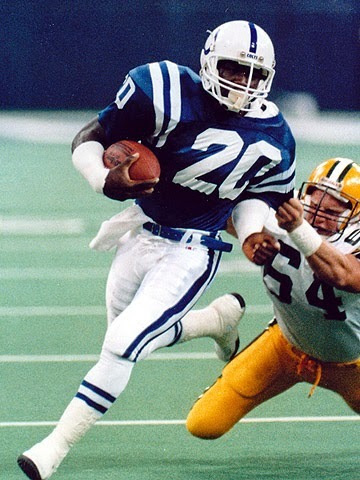 Safety was viewed as a significant area of need, and he became the starting strong safety and intercepted 12 passes in three seasons, with a high of six in 1989. The fourth-round draft pick received for DeBerg (86th overall) was used to take Tennessee G John Bruhin, who lasted four years with Tampa Bay and started 21 games. Eighth-round draft choice RB Anthony Simpson from East Carolina failed to make the team. DeBerg signed a three-year contract with the Chiefs and Head Coach Frank Gansz indicated that he would back up injury-prone starting QB Bill Kenney. He ended up seeing most of the action behind center, throwing for 2935 yards and 16 touchdowns, as well as 16 interceptions, for a team that went 4-11-1. DeBerg started the games that KC won and Kenney was released in the offseason. Under a new head coach, Marty Schottenheimer, DeBerg began and ended 1989 as the starting quarterback, but in between was benched in favor of two other veterans, Ron Jaworski and Steve Pelluer. Overall, the Chiefs led the AFC with a 59.5 completion percentage, and DeBerg’s was 60.5, but none of the quarterbacks were especially effective. DeBerg finally put it all together in 1990, starting every game and passing for 3444 yards and 23 touchdowns while giving up only four interceptions. Along the way, he had a streak of 233 consecutive passes without an interception, which ranked second in NFL history at the time. 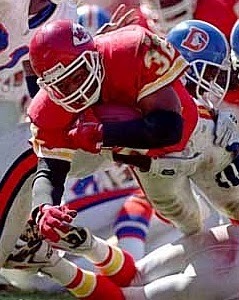 The Chiefs ran the ball well with Christian Okoye and Barry Word, and that set up opportunities to utilize play-action, which worked to DeBerg’s advantage due to his excellent ball-handling skills. Kansas City finished with an 11-5 record, its best since 1971, and a Wild Card spot in the playoffs for the first time in four years. The Chiefs qualified for the postseason again in 1991, compiling a 10-6 tally, and this time won a playoff game before falling to Buffalo in the Divisional round. DeBerg had a lesser statistical season, however, passing for 2965 yards while having fewer TDs (17) and more interceptions (14). He missed one game due to injury during the regular season and went down again in the playoff loss to the Bills. 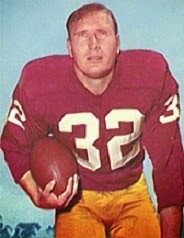 At age 37, the Chiefs determined that it was time for a change and DeBerg was allowed to depart as a free agent in the offseason, with Seattle’s Dave Krieg brought in as his replacement. DeBerg returned to Tampa Bay in a strictly backup role in 1992, and split time with the Buccaneers and Dolphins in ‘93, with Miami putting him in the lineup after Dan Marino was lost due to injury. He then retired, but came back with Atlanta in 1998 at age 44 to provide depth when QB Chris Chandler was injured and started one game. 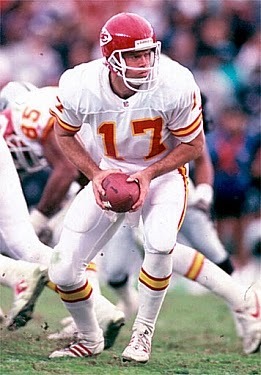 Despite his limitations, Steve DeBerg lasted for 17 NFL seasons in all. 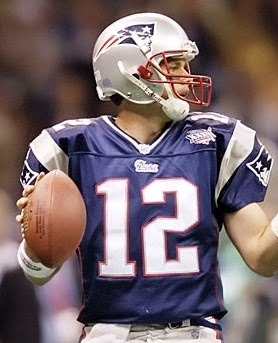 He completed 57.2 percent of his passes for 34,241 yards and 196 touchdowns while giving up 204 interceptions. Of that, 11,873 yards and 67 TDs came with the Chiefs, and in terms of team performance, he enjoyed his greatest success in Kansas City, which went 31-20-1 in games he started (he didn’t reach double figures in wins with any of the other five teams he suited up for). A key issue in bringing about the merger of the American and National Football Leagues was the cost involved in competing for talent coming out of college each year. Thus, a major step in the process that would culminate with full merger in 1970 was the first combined AFL/NFL draft that commenced on Tuesday, March 14, 1967. The draft was conducted in New York under the direction of NFL Commissioner Pete Rozelle and a total of 445 players were chosen, with the first seven rounds held on the opening day. The New Orleans Saints, as a NFL expansion team for 1967, had the first and last selections at the end of each round plus one additional at the end of the second, third, and fourth rounds. However, they had already traded away the first overall pick, which went to the Baltimore Colts in exchange for backup QB Gary Cuozzo. 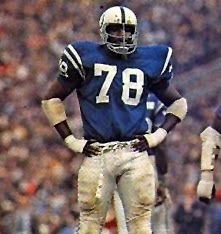 The Colts used the selection to take Michigan State All-American DE Bubba Smith (pictured above). The first round took four hours and 16 minutes to complete and several trades were part of it, in addition to deals that had already been struck. With a choice obtained from the New York Giants a week earlier in the trade of QB Fran Tarkenton, the Minnesota Vikings, who ended up with three picks in the first round, had the second overall selection and took HB Clint Jones, also an All-American from Michigan State. Atlanta held the third pick but, disappointed that Bubba Smith was no longer available, dealt it to the San Francisco 49ers for flanker Bernie Casey, G Jim Wilson, and DE Jim Norton. The 49ers chose QB Steve Spurrier, the Heisman Trophy winner from Florida, with an eye toward grooming a successor to 31-year-old QB John Brodie. Future Hall of Fame QB Bob Griese of Purdue (pictured at left) was chosen by Miami, which was also the first AFL team to select, with the fourth overall pick. Other eventual Hall of Famers chosen in the first round were HB Floyd Little of Syracuse by the Denver Broncos (sixth overall), Notre Dame DE Alan Page by the Vikings (15th), and guard Gene Upshaw from Texas A & I by the Raiders (17th). Those selected in the second round were Jackson State CB Lem Barney by the Detroit Lions (34th overall) and LB Willie Lanier of Morgan State by the Kansas City Chiefs (50th). OT Rayfield Wright of Ft. Valley State was taken by the Dallas Cowboys in the seventh round (182nd overall) and DB Ken Houston from Prairie View was a ninth-round selection of the Houston Oilers (214th). Among the NFL trades that occurred, the Steelers sent flanker Gary Ballman to Philadelphia for FB Earl Gros, G Bruce Van Dyke, and a third-round draft choice that was used to take C Rockne Freitas of Oregon State. The Los Angeles Rams dealt TE Marlin McKeever and their first draft choice to Minnesota for HB Tom Mason, TE Hal Bedsole, and a second-round draft pick (the Vikings used their draft choice to take Page and the Rams chose HB Willie Ellison from Texas Southern). 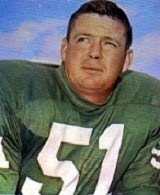 The Giants traded LB Jerry Hillebrand to St. Louis for HB Bill Triplett. In a significant AFL transaction, Buffalo dealt QB Daryle Lamonica, split end Glenn Bass, and its third and fifth draft picks to Oakland for split end Art Powell and QB Tom Flores. Another Michigan State player, LB George Webster, was taken by Houston with the fifth overall selection, one of four Spartans to go in the first round. Among other noteworthy selections, the Chiefs helped revamp their corps of linebackers by not only selecting Willie Lanier in the second round, but Jim Lynch of Notre Dame three spots earlier with the 47th pick . In addition to Bubba Smith, who spent five seasons in Baltimore and was twice named to the Pro Bowl, the Colts selected another player who would star on defense in DB Rick Volk from Michigan, also in the second round, who was chosen to his first of three Pro Bowls as a rookie. Baltimore also took a chance on DB Preston Pearson, a basketball player from Illinois who did not play college football, in the 12th round. Used on offense as a halfback, he went on to a 14-season career with the Colts, Steelers, and Cowboys. 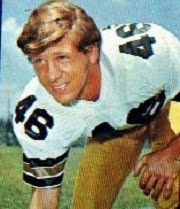 Later in the second round, the Saints took WR John Gilliam from South Carolina State, who became the first player in franchise history to score a regular season touchdown on the opening kickoff of the first game. 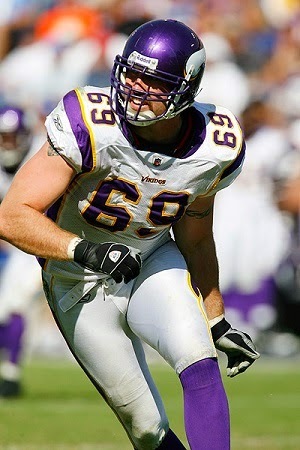 He went on to have his best seasons with the Cardinals and Vikings. HB Travis Williams of Arizona State was chosen by the NFL Champion Packers in the fourth round and made a significant impact as a kickoff returner during his rookie season, averaging a record 41.1 yards and scoring four touchdowns. Another halfback, the undersized (5’9”, 190) Dickie Post of Houston, was picked by the Chargers right after Williams and led the club in rushing in his first year with 663 yards. 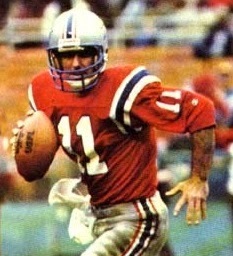 He led the entire AFL in 1969. The Lions did well with UCLA HB Mel Farr in the first round, Lem Barney in the second, and LB Paul Naumoff of Tennessee in the third round, who started six games as a rookie and kept on going for 12 seasons in Detroit. In addition to Clint Jones and Alan Page, who was shifted inside to defensive tackle, the Vikings picked WR Gene Washington, the fourth Michigan State player chosen in the first round (eighth overall) who was selected to two Pro Bowls in an injury-shortened career (and not to be mistaken for the wide receiver of the same name who was drafted two years later and played with distinction for the 49ers). DB Bobby Bryant of South Carolina was taken in the seventh round and became a stalwart in the defensive backfield. John Elliott was chosen as a guard out of Texas by the New York Jets in the seventh round and went on to distinguish himself at defensive tackle. Another player who paid dividends for the Jets was G Randy Rasmussen from Kearney State (now Univ. of Nebraska at Kearney), an unheralded pick in the 12th round who remained with the team until 1981. Kicker Don Cockroft of Adams State, picked by the Browns in the third round, filled a need both for a successor to the great but fading PK Lou Groza and as a punter. After a year on the taxi squad due to injury, he handled the punting and placekicking as one of the last of the straight-ahead kickers through 1980. Cleveland also made a good pickup in the 17th (and last) round (439th overall) with Ben Davis from Defiance College, who proved valuable as a kick returner and cornerback. Another notable player chosen in the 17th round was WR Dan Abramowicz from Xavier of Ohio (pictured at right) by the Saints (420th overall). He not only made the fledgling club but started at split end and led the team with 50 catches for 721 yards as a rookie. A fine possession receiver, he topped the NFL with 73 receptions in 1969 and put together a 105-consecutive game pass receiving streak that was the league record at the time. Oddly enough, the last player chosen was Jimmy Walker of Providence, picked as a wide receiver by the Saints, who also ended up being the first overall selection in the NBA draft in May. Not surprisingly, he chose to play pro basketball, and did so for ten years. Another draftee who chose basketball over pro football was Pat Riley, a flanker out of Kentucky taken in the 11th round by the Dallas Cowboys who signed with the San Diego Rockets of the NBA and, following his playing career, became a successful coach and team executive. Also as a footnote, tackle Richard Sligh from North Carolina College was picked by the Raiders in the tenth round. He failed as a defensive tackle and lasted just a year, but at 7’0” was the tallest player in AFL or NFL history. The combined draft had the intended effect of ending competition between AFL and NFL teams for top talent coming out of college. It also helped the AFL clubs to improve their rosters as full merger with the NFL neared. Both the Jets and Chiefs, who won Super Bowls in addition to league titles following the 1968 and ’69 seasons, respectively, added players who would be in the starting lineup for those contests. The Dolphins, who went to three Super Bowls from 1971 to ’73 and won the last two not only started the process of assembling the necessary talent by drafting Bob Griese in 1967 but made good use of the 1968 and ‘69 combined drafts as well.